Lisa Phillips is an award-winning wellness expert and Confidence Coach whose work has featured extensively on TV, Radio and in the media. Often described as being warm, funny, personable, down-to-earth and honest, Lisa is a seasoned motivational speaker and Confidence coach with 18+ years of coaching, training & speaking experience. She is also the author of 'The Confidence Coach� book. Lisa has been awarded three Stevie Awards for her work as a Confidence Expert assisting people with their self-esteem and emotional wellbeing. 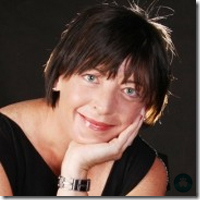 She is currently the expert Confidence Coach on � The Love Destination� TV. She has been an Enrichment speaker for Celebrity Cruises and Royal Caribbean since 2015. Lisa has also been engaged by Princess Cruises as an Enrichment speaker since 2018. Have you always wished you had more confidence? 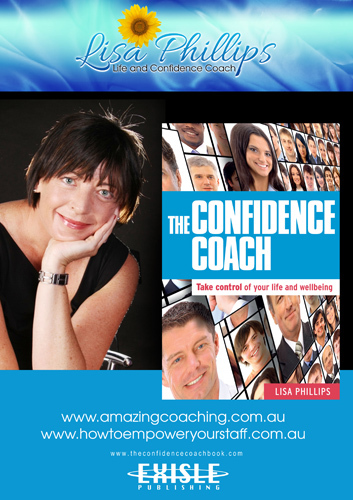 Join Confidence Coach Lisa Phillips as she shares her simple tips to give your confidence a well deserved boost! 2) Don't worry - be happy! It's easy to feel happy when you are on holiday but often we lose that happy feeling once we get back home and to work. Discover how you can tune in to that happiness frequency each day and feel like you are on a cruise every day of the year. We all suffer from stress at one point in our lives but what can you do when life gets all too much? Discover how to take control of stress, let go of the small stuff and become a more relaxed and chilled person. 7) How to be a more resilient person. Do you feel life is like one big roller coaster of emotion? In this seminar, learn how to become a more resilient person and bounce back from life's setbacks. 8) How to have a more confident career. Do you struggle at job interviews or dream of a change of career? In this workshop, discover how to tap into being a more confident person, find your purpose in life and take responsibility for your own career. 9) How to have a more confident relationship. Whether you are single, dating someone new or have been married for many years, this workshop will assist you to have a more confident relationship with yourself, or your significant other! 10) Relaxation Techniques. Discover the wide benefits of relaxation and find a technique which works for you in this fun ( and relaxing!) workshop. 11) Morning Motivation. Do you have to drag yourself out of bed each morning? Discover how to set yourself up for a great day - every day! Have you ever set a goal in your life? Goal setting is a great technique that you can use in any area of your life. In this seminar, Lisa Phillips will share with you her goal setting process and some important tips to keep you on track to achieving your personal goals. Are you taking a back seat in your life? Do you have dreams that you haven't yet achieved and often find excuses not to take action? If so, it's time to get into the driving seat of your own life and become a more empowered person. We really are our own worst enemies when it comes to our body image. In this workshop, learn how to view yourself and your body in a different light and start to be your body's best cheerleader! Since the launch of ' The Secret' on TV, people have been talking about The Law of Attraction. If you would like to find out more about what this means and how to apply it in your life, come along to this fun seminar. 17) Take Control of Your Self Talk! We repeat 92% of our thoughts every day and over 88% of these are negative! Learn how to change what you experience in life, by changing what types of thoughts you think. It has been said that people fear Public Speaking more than Death! However, it can be something you learn to enjoy, rather than avoid. Come along to this workshop and pick up some top tips on how to be a confident public speaker. Have you ever tried meditation? Come along to this seminar today to find out more about the benefits of meditation and how you can learn to incorporate meditation techniques into your own life. Science is showing that if we think it, we can achieve it! Sporting Personalities have been using visualisation techniques for years with great benefits. Come along to this seminar today and learn about the different types of visualisation techniques and how you can use them in your own life. I am seeking opportunities to speak on short / longer cruises. I am extremely easy to deal with and do not require ' hand holding'. Able to travel at short notice and comfortable with all nationalities. I have excellent relationships with Cruise Directors and Cruise Admin staff and a low maintenance speaker who is happy to just get on with the job. Highly reliable and able to travel at short notice. I always receive excellent feedback from Cruise Directors and guests. To see examples of me speaking on TV and also on cruise ships, please check out www.amazingcoaching.com.au or my you tube channel - The Confidence Coach. Yearly travel insurance in place.